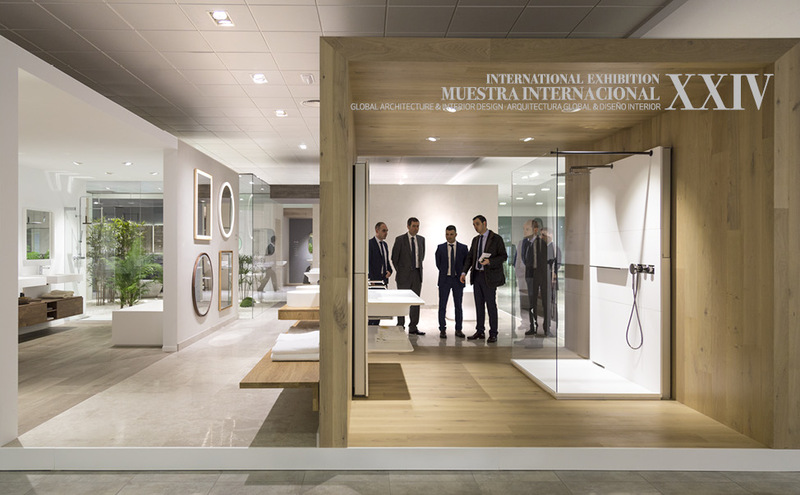 If there is a date marked in the calendars of PORCELANOSA Group, it is without doubt the opening of our Global Architecture International Exhibition, the 24th edition of which has begun today. The eight firms of the PORCELANOSA Group are prepared to receive thousands of visitors, who will be able to discover first-hand the new products of the group, at an event displaying new trends. In the coming days we will show off the new products, which as usual in the SYSTEMPOOL showroom are divided into two product lines: KRION® (ground floor) and KRION® BATH (first floor). The ground floor is structured in different areas, divided based on sectors for applying the material: RETAIL, HEALTHCARE, FACADES, HOTELS, HOMES, etc. On the first floor, where KRION® BATH stands out, the new PURE bathroom series designed by the Yonoh studio is presented, along with the TONO series designed by Foster+Partners. At the following link you can download the catalogue of new products https://www.krion.com/en/catalogos. Finally, the world first which revolutionises the area of Solid Surface, K-LIFE, is now here.